It takes only 15 minutes to stroll across the fields to Alfriston for your daily newspaper and freshly baked bread. In under an hour you can walk to any of the six pubs for a delicious lunch or supper, five of them serving our famous Harvey's Ale from Lewes's Brewery. In two or three hours you can ascend to the top of the Downs and stand in awe, taking in the incredible views to the English Channel or inland across the wooded Weald of Sussex. 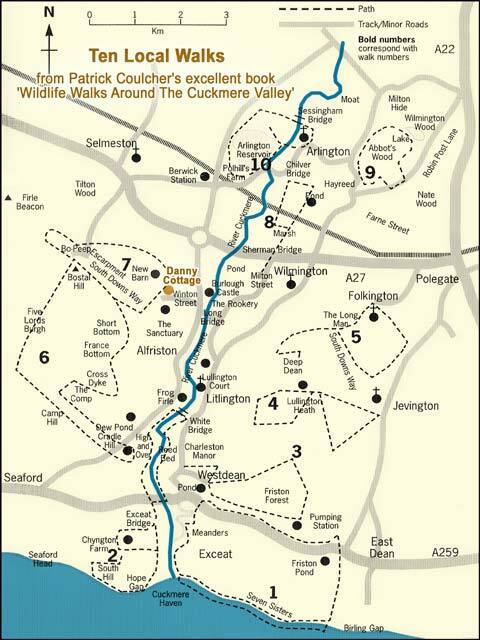 This walk can take you to the little village of Jevington, passing The Long Man of Wilmington on the way, or through the Lullington Heath Nature Reserve and down into Friston Forest, coming out at the ancient hamlet of Westdean and on to the crest of the hill where the view across the Cuckmere River, as it meanders to the sea, will take your breath away. Hardly believable but true, on so many Downland walks you cannot hear any disturbing noise of modern life; no car engines to disturb the peace just the breeze on your cheek and the song of the skylark. 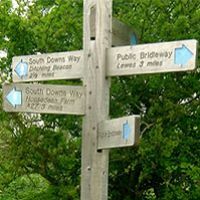 You can walk for days on three long distance national trails: the 90 mile South Downs Way from Eastbourne to Winchester, the Vanguard Way from Croydon to Newhaven and the Wealden Way from Gravesend to Eastbourne. All these pass within half a mile of Danny Cottage so you can dip in and out and enjoy the trails for as long as you want. 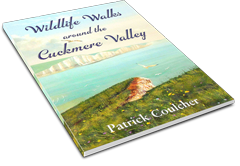 We have a good collection of books on Downland Walks on the Danny Cottage bookshelves, but visit Much Ado Bookshop in Alfriston and choose one or two to keep at home. 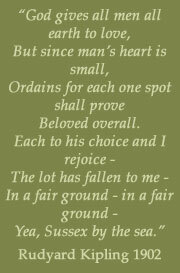 or from S.B. Publications, 14 Blatchington Road, Seaford BN25 2UB. Telephone 01323 893 498. We wish you happy hiking. 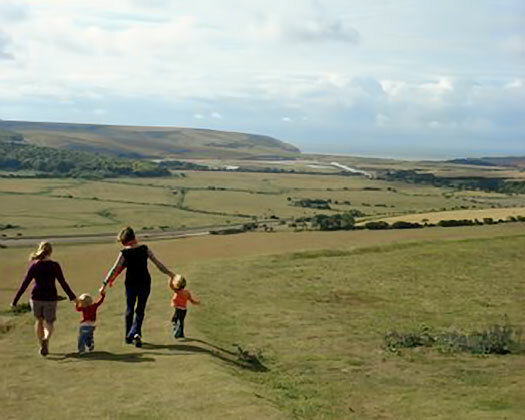 Danny Cottage is located just a short stroll from The South Downs Way, the long distance footpath and bridleway running for 160 km (99 mi) along the South Downs from Winchester in Hampshire, to Eastbourne in East Sussex.